One of the benefits of membership in the Neponset River Regional Chamber is the ability to display your membership decal at your place of business. Your decal let's the world know that you support the local business community as a member in good standing. Studies have shown that when customers know that a business belongs to the Chamber of Commerce, they are more likely to do business with them. Your membership decal is a sign of good business. Increasingly, not all business is done through a storefront these days. 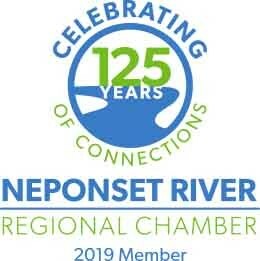 As a member of the Neponset River Regional Chamber you can download your membership decal and place it on your website, in your email signature or even on your letterhead to show your commitment to the local business community. To download your member decal for 2019 simply right-click the icon below and either copy or save.